Regional coordination on energy policy, legal and regulatory frameworks, and resource management would improve energy security, and accelerate economic growth of South and Southeast Asia, according to an analysis released recently by the U.S. Energy Association (USEA) and the U.S. Agency for International Development (USAID). Linking South Asia with Burma & Southeast Asia to Advance Cross Border Electricity Trade: A Political Economy Study was funded through USAID’s South Asia Regional Initiative for Energy Integration (SARI/EI) program and serves as a roadmap to improve electricity trade between South and Southeast Asia. 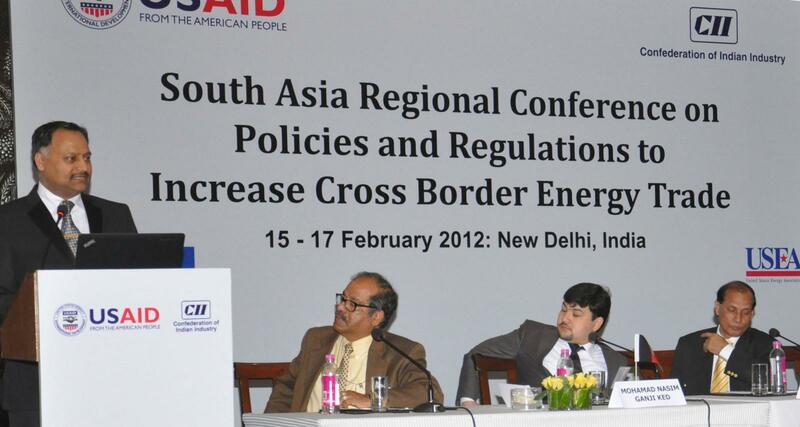 The report, which attempts to identify the political, economic, and institutional considerations in South Asia that need to be resolved if the prospects of cross border energy trade are to be improved, was released in New Delhi on August 31, 2018 at the Regional Conference on Enhancing Energy Cooperation & Integration in South Asia. The report also traces benefits of political support for cross-border energy trade in the South Asia region and the political support for cross border electricity trade in Burma and Southeast Asian countries.